Civic Exchange submitted a document in response to the 2013 policy address and 13/14 budget consultation. It covers democratic development, governance, equal opportunities, poverty and gender. Louisa contributed to the sections on social issues including improving education for people with disabilities/individual learning needs, enhancing workplace diversity and addressing poverty. 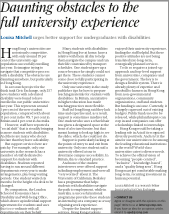 Contributed background section, using material from research on how Hong Kong’s universities recruit, admit and support students with disabilities, to NGO Community Business’s publication on inclusive recruitment and how to develop internship programmes for students with disabilities. 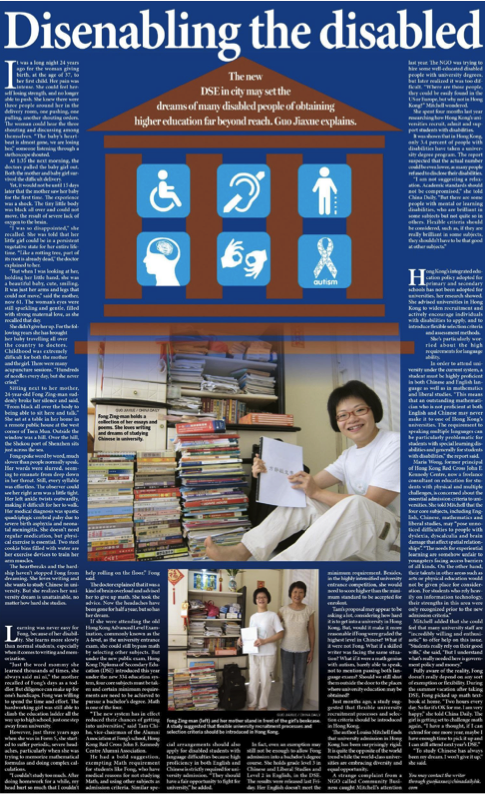 Published in early December 2012 to mark the International Day of Persons with Disabilities on December 3. To read the publication, click here. Topic: Results of research into how Hong Kong’s universities recruit, admit and support students with disabilities and proposals for change. Attended NGO Community Business’s ‘Diversity and Inclusion in Asia’ annual conference on Monday 5 and Tuesday 6 November 2012. Delegates from companies, consultancies, NGOS and other organisations across the region and the globe attended. There were sessions on gender, disability and cultural diversity as well as LBGT. The workshop ‘Disability in the Workplace in Asia’ gave companies new to the issues involved in gaining disability confidence an opportunity to hear first hand from employees with disabilities what they need in order to do their job effectively and to tap expert brains from around the world. To access the conference website click here. Topic: Results of research into how universities support students with disabilities and the role of the corporate sector in recruiting graduates with disabilities. For Community Business event site and video clip of presentation click here. 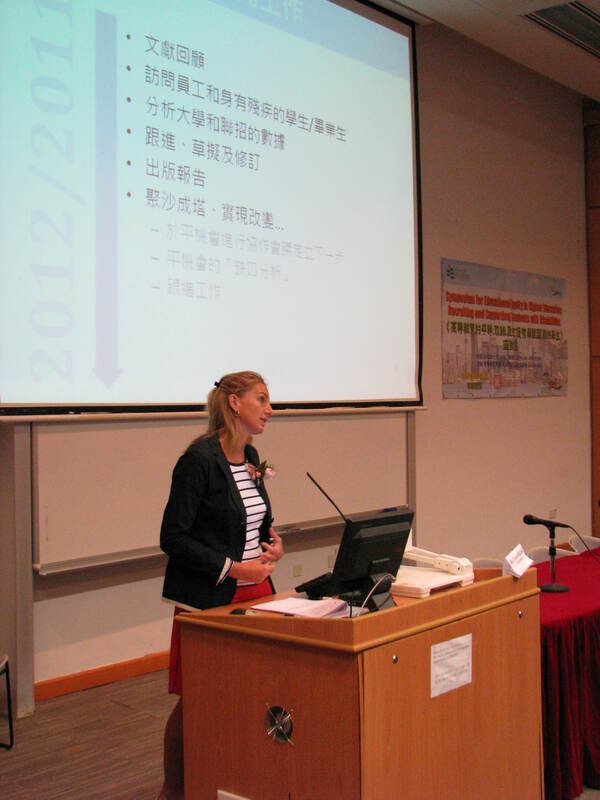 Topic: Results of research into how Hong Kong’s universities support students with disabilities and proposed next steps.